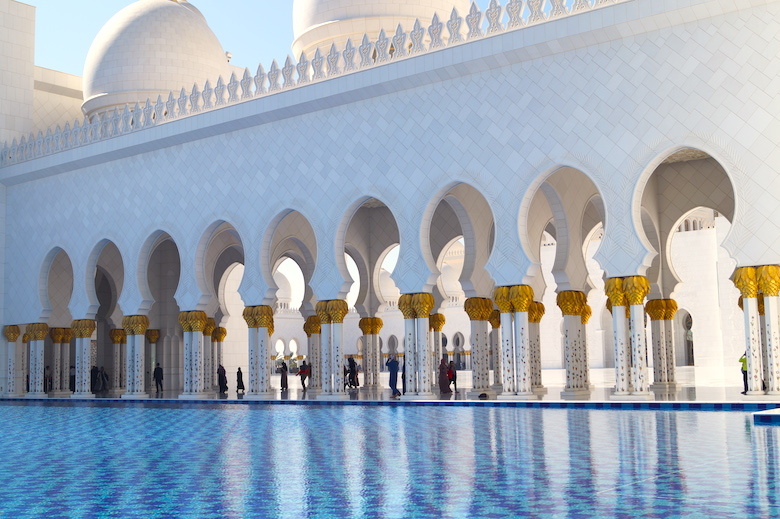 Start your city tour around nine in the morning in the stunning Sheikh Zayed Mosque. 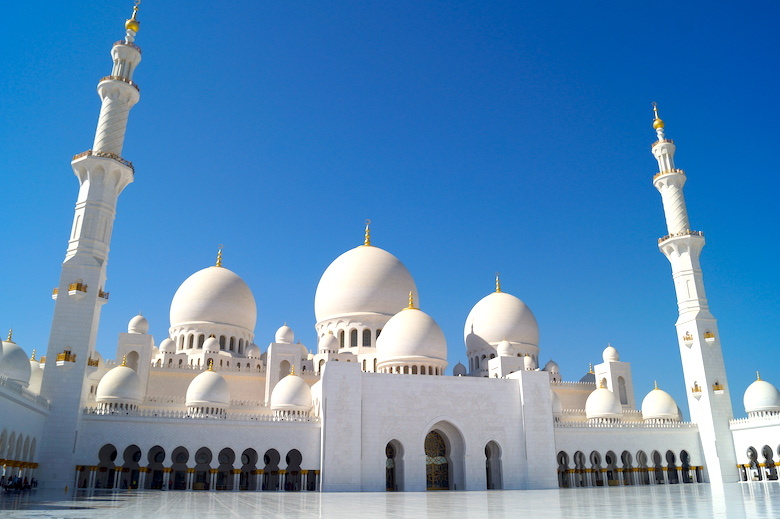 It is the eighth largest mosque in the world and the largest mosque in the United Arab Emirates. As soon as you enter the mosque, you feel like in a fairy tale of 1001 Nights. Lots of gold leaf and the finest marbles were processed in the mosque. Also located in the main nave, the largest of the world’s carpets was made by 1200 Iranian women by hand. The mosque has a considerable size, so you should plan to stay at least two hours in the mosque. After visiting the Sheikh Zayed Mosque, get back in a cab (you’ll find it in the large parking lot in front of the entrance). Get dropped off at the Marina Mall, the most famous and beautiful mall in Abu Dhabi. There you can have lunch, go shopping in more than 400 stores and take a ride on the gigantic Ferris wheel Marina Eye. From there you can enjoy a great view of the skyline of Abu Dhabi. Next, walk along the marina until you reach Abu Dhabi Theater Road. Follow the road until you reach the Abu Dhabi Heritage Village. In this idyllic open-air museum you will learn more about the time before the big oil boom through traditional exhibits and buildings. You can easily spend two hours in the Heritage Village, but keep in mind that it’s only open until 4pm except on Fridays. After the Heritage Village, head back to Abu Dhabi Theater Road and walk towards Marina Mall until you reach 18th Street. Follow the road in the direction of the city center. 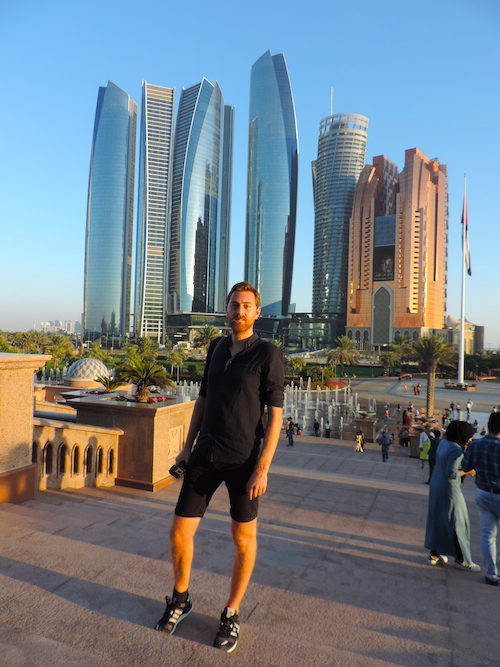 On your right you will see the splendid Emirates Palace Hotel. It’s definitely worth a look inside the hotel. 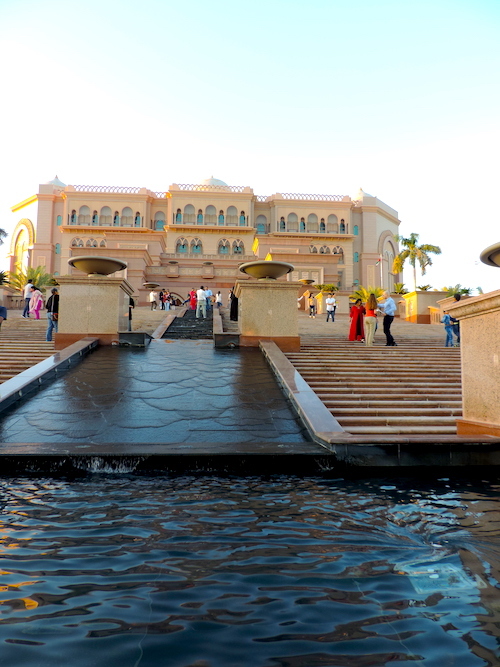 In addition, the forecourt of the hotel with its numerous fountains and palm trees is worth a visit. Especially at sunset, the place unfolds its full beauty. Stay there until nightfall and then board a cab that will take you back to your original location or bus station.